Natural grass can be a tricky beast; sometimes coming in spotty, other times over running the entire yard. Having that perfect lawn can be time consuming, tiring, and most of all, expensive. Many commercial and residential sources have found it easier to switch over to artificial grass, and can you blame them? Here are five reasons to choose synthetic turf over the natural varieties. This is one issue that artificial turf has a huge advantage over natural grass. Natural grass needs constant care with watering, weeding, and trimming, just to mention a few. Artificial turf on the other hand needs none of this. You can have a gorgeous lawn without having to have all the headaches that come from natural grass. Natural grass is easy to wear down over time. Heavy foot traffic or the elements can lead to patches in your lawn without much effort. Artificial turf, on the other hand, was designed specifically for this purpose. That beautiful lawn of your dreams won’t wither away after a bit of bad weather, or that big backyard bash you threw, if you stick with artificial grass. Artificial grass will be fine just about anywhere, in about any weather or climate that you can think of. 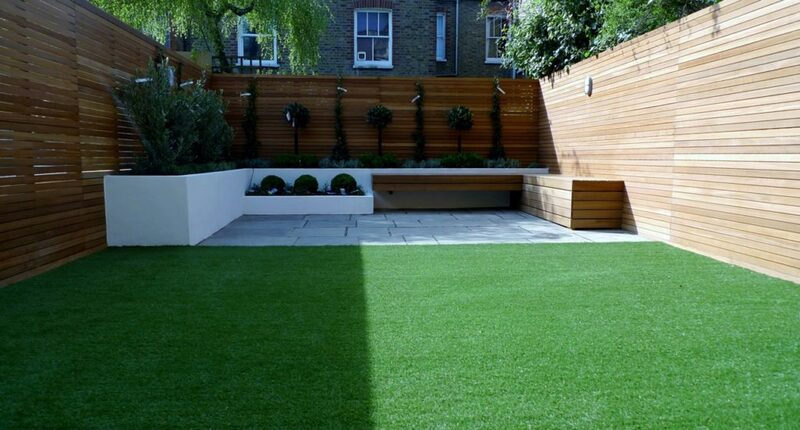 From dry and arid to wet and humid, artificial grass can be put in there. No need to worry about pH balances or how much sun the grass is getting, either. That perfect lawn can be placed anywhere that you may need. Artificial grass is almost completely made out of recycled and reused materials. Conserving water is a breeze with artificial grass, and you won’t need to use all those harsh chemicals in pesticides and fertilizers. Not to mention, how little you will need to use your lawn care equipment to groom it, so you won’t need to worry about emissions as much either. Artificial grass is absolutely beautiful, and will stay that way. Sports fields to golf courses use artificial grass specifically for it’s look and feel. Many would say that artificial grass is pretty than its’ natural counterpart. Just looking out over your perfect lawn is enough reason to make the switch. Getting the lawn of your dreams doesn’t have to take a ton of effort, time, or money. Artificial grass is an excellent alternative to natural grass, and will be for years to come. These are just some of the reasons why people switch over to artificial grass from natural.